It only takes a few weeks of mindfulness-based stress reduction training to notice an improvement, according to a new study. The findings support an existing body research showing that mindfulness leads to less perceived stress. How do you really spell relief? M-B-S-R. Mindfulness-based stress-reduction. 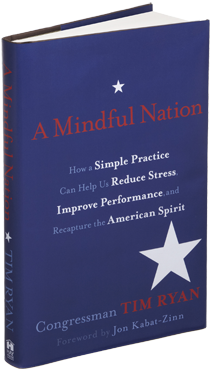 A new review of 26 studies proves what Jon Kabat-Zinn told us years ago: the meditation program can help reduce and improve your mental and physical reactions to stress and invite more joy into your day to day life. A new Campbell systematic review shows that MBSR programs not only relieves stress and provides people with coping tools, the meditation course can actually result in better mental health, improved social functioning and better overall quality of life…(read more).